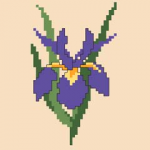 Beautiful iris flower bud for beginner stitchers. 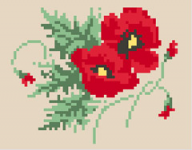 A group of beautiful red poppies cross stitch pattern. 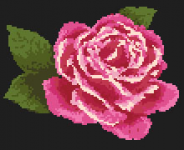 Cross stitch pattern of a beautiful single purple rose on a black background. 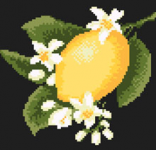 A cross stitch design of a flowering sprig of lemon fruit on black fabric. 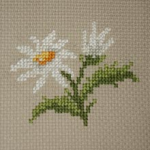 Small pattern of daisy flowers for cross stitch beginners. 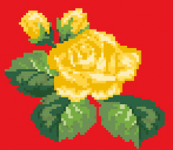 He loves me, he loves me not! 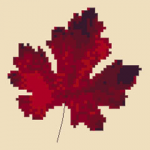 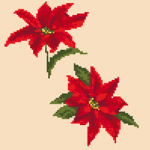 Cross stitch pattern of Poinsettia - traditional Christmas flowering plants. 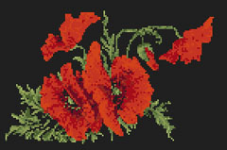 Beautiful pattern of red carnations on a black, contrasting background.